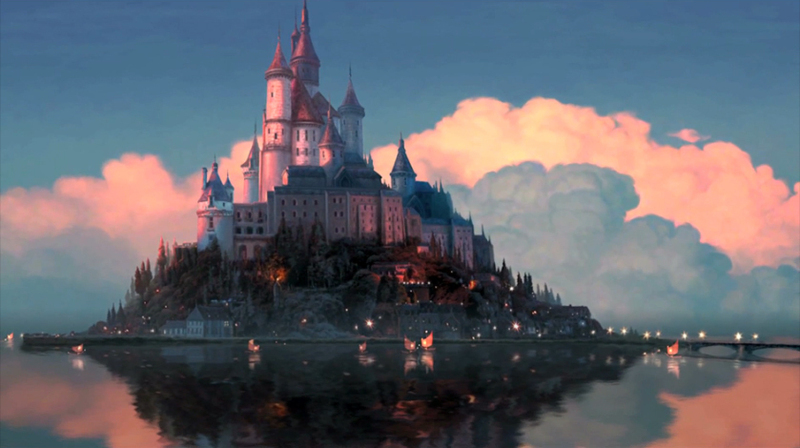 Tangled- kasteel. . Wallpaper and background images in the Disney Princess club tagged: princess disney disney princess princesses tangled rapunzel flynn rider rapunzel and flynn. This Disney Princess photo might contain zakelijke district, downtown, zakenwijk, and centrum.